You are here: Home / News & Events / Libraries Rock! 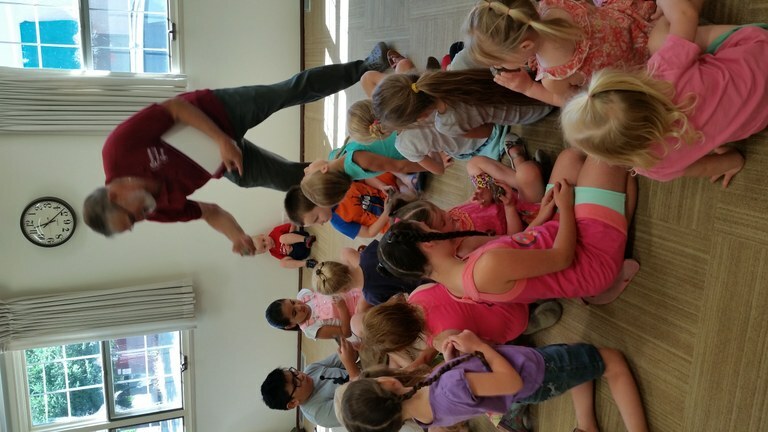 Today we welcomed Guy DiTorris the Oregon Fossil Guy to our Summer Reading Program. He talked with us about the amazing Oregon Rock: Thunderegg. How unassuming they are from the outside, but on the inside is an amazing treasure. They are a nodule or geode not a rock. They were formed where volcanos were active. He brought Thundereggs from four different Oregon locations. As a treat at the end each child was able to take home a small Thunderegg provided by the Sweet Home Gem and Mineral Club. The children were fascinated by the different formations of each Thunderegg. It was a fun and informative program. Next week we welcome the University of Oregon Museum of Natural and Cultural History and their ‘Oregon Rocks’ program. Take off on a geology adventure and explore our ever-changing planet Earth. Dig into rocks, fossils, earthquakes, and volcanoes through hands-on activities and rockin’ specimens, discovering the dynamic forces that have shaped Oregon’s landscape over time!